Tesla isn't a car company. It's a tech company that makes cars. Think Tesla Inc. (TSLA - Get Report) is a car company? Think again. On Tesla's second-quarter earnings call, the company dropped a bombshell that not enough people are paying attention to: The Tesla AI computer, coming soon to a Model 3, Model S, or Model X near you. Tesla has long been rumored to be working on its own silicon for autonomous driving. That's the reason why Tesla snagged Jim Keller from AMD (AMD - Get Report) and Peter Bannon from Apple Inc. (AAPL - Get Report) . But Elon Musk made the rumors concrete at the earnings call, when he had Bannon provide color on exactly what the new chip can do. Currently, Tesla Autopilot uses Nvidia's (NVDA - Get Report) Drive platform, an autonomous driving platform used by a handful of other automakers. Put simply, Tesla's new AI Chip will be around an order of magnitude more powerful than the current iteration of chips available from Nvidia. The Tesla computer is able to handle more than 2,000 frames per second of video from the car's onboard computers. It does that by bypassing the GPU or CPU that traditional AI hardware uses, instead running computations in the bare silicon itself. The neural networks that drive Tesla's autonomous car capabilities essentially do a vast number of incredibly simple calculations on matrices; by moving those to bare metal, the speed increases are substantial. That also gives Tesla a meaningful advantage over competitors. That's the key component to the speed-up that rivals lack. And it's a major reminder that Tesla is approaching the self-driving car problem like a technology company, not a car company. According to Musk, Tesla's new AI computer will be a drop-in replacement for existing models, keeping the same connectors (another benefit of developing it in-house). This deep integration of hardware and software is exactly what enables Apple to consistently generate better performance than rivals on in-house chips despite similar (or in some cases slower) clock speeds. And it shouldn't be surprising that Telsa is following a similar approach: Tesla's Bannon is the guy who built the team that designed Apple's first 64-bit ARM processor. In an environment where AI merger and acquisition activity is fetching a premium, Tesla is flexing its intellectual property muscles in a big way. 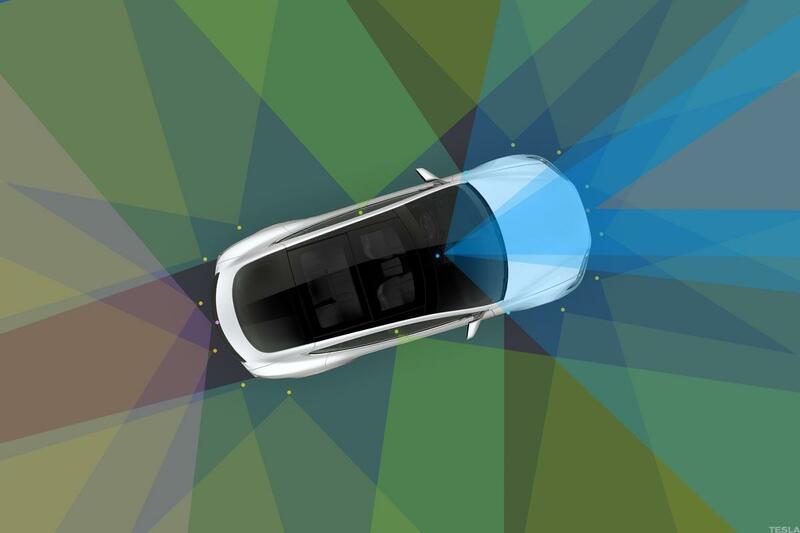 While the firm has repeatedly said that it is approaching AI differently than other OEMs (namely by avoiding LIDAR), Tesla's AI computer could likely work with LIDAR-equipped autonomous driving hardware, boosting the IP value of Tesla's tech. Tesla is a technology company first, and a car manufacturer second. And that means that the firm's self-driving IP could be worth a lot more than Wall Street has been assuming. Apple and Nvidia are holdings in Jim Cramer's Action Alerts PLUS member club. Want to be alerted before Jim Cramer buys or sells AAPL or NVDA? Learn more now.